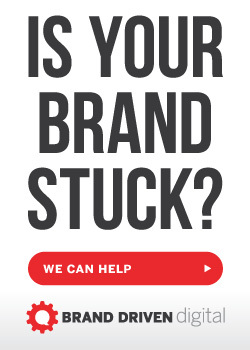 “Great brands demonstrate unity not uniformity.” Branding is a tricky topic. It’s both an art and a science. It’s about consistency yet not being so consistent that your story suffers. It’s this narrow space that Josh Miles navigates every day. As principal of the Indianapolis-based firm MilesHerndon, he works with organizations of all sizes to build better brands. 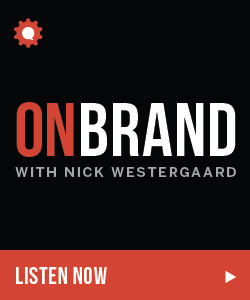 I couldn’t wait to get wonky with a fellow brand builder on this week’s episode of the On Brand podcast. Josh Miles is a caffeine and Twitter addict, and principal of the newly formed Indianapolis-based branding firm, MilesHerndon. His role consists of leading brand strategy, business development, and firm-wide marketing. 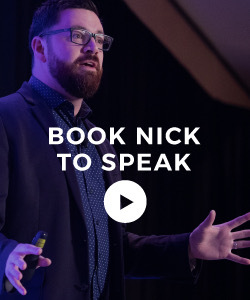 Josh Miles speaks from coast to coast on branding, digital marketing, and social media, and is a past TEDx presenter. Josh was named as a 40 Under 40 honoree by the Indianapolis Business Journal, Delta Sigma Phi, and a 2015 ENR Midwest Top 20 Under 40. Josh is the author of the Content Marketing Institute book, Bold Brand. He serves on the board of directors for the Oasis Network, an international church planting and resourcing organization, and is the National Speaker Series chair for AAF Indianapolis. Josh is also involved in several other start-up tech companies based in Indianapolis. Prior to forming MilesHerndon, Josh ran Miles Design for nearly 13 years before deciding to join forces with another firm called Redwall. Josh has also served as an art director and as an adjunct faculty for IUPUI, Herron School of Art and Design, and the Art Institute of Indianapolis. Josh is a long-time member of AIGA (the professional association for design), serving three years as the Indianapolis chapter president. Josh is currently involved in SMPS, Verge, and Rainmakers. 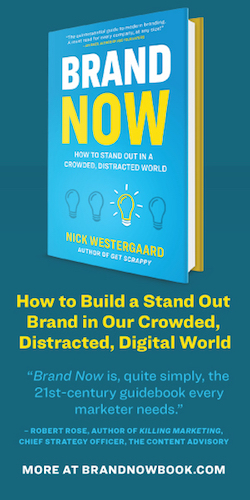 His unique point of view on branding, design, and marketing has been sought after by organizations, corporations, and university design programs for keynote, guest lecture, and training exercises. “Branding and rebranding have to be about more than visuals.” Josh and I opened the show by commiserating about the stereotype that branding is simply a fancy synonym for logo design. That said, Josh noted that visuals are key as they represent “signals” that tell us that something is new or has changed. Unity vs. uniformity. “Uniformity is the exact same thing” over and over again while unity offers “many points.” When you see a Target ad, you know it’s a Target before you see the bullseye. To learn more about Josh, check out MilesHerndon or follow him on Twitter. Recently our friend Mark Greenlaw gave us a shout on Twitter about our recent episode focused on brand storytelling featuring Park Howell. Thanks for listening Mark! And don’t forget that this podcast is brought to you by our Brand Driven Digital events series, learn more about the industry leading Social Brand Forum and our other trainings and workshops now. 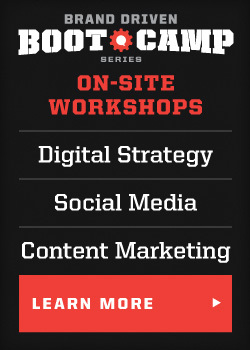 Save $100 by using promo code ONBRAND when you register for the Social Brand Forum. This entry was posted in Podcast and tagged bold brand, brand consistency, brand visuals, brand voice, design, josh miles, milesherndon, uniformity, unity. Bookmark the permalink.